Cologne-Bonn Airport enjoys a strong demand for freight transport, particularly in the e-commerce driven express segment. Passenger figures are also increasing, reaching a record level in 2017 according to the airport’s forecast. Airport Chief Michael Garvens has every reason to be optimistic. Both segments, passenger and cargo, are thriving and on way to set new records this year. In passengers, Cologne-Bonn expects to surpass the 12 million mark within a year for the first time in its history, reaching a total of 12.2 million until December 31, according to forecasts presented by the CGN management. Main driver is Lufthansa subsidiary Eurowings that upped their number of long-haul routes lately or announced that they will do so. For example, the number of intercontinental passengers rose by 64 percent in a year-year comparison, totaling 519,000 at the end of the third quarter of 2017. That’s mainly a result of additional services to the U.S. and Africa operated by Eurowings. A trend, others also benefitted from, like leisure carriers Sun Express and low cost airline Wizz Air. As of 30 September, the trio was responsible for as many as 185,000 additional travelers arriving at or departing from CGN. The cargo figures are even more promising. According to data available today, the freight volume will increase by 6 percent by 31 December, reaching an all-time height of 830,000 tons. "We have not experienced such a growth during the last five years," enthused Airport Chief Michael Garvens. 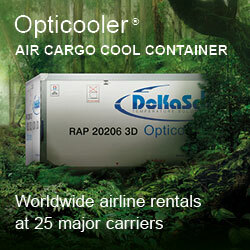 Main contributors are UPS, FedEx and DHL Express in combination with their local feeders. The integrators account for 96 percent of the total throughput at Cologne-Bonn Airport. Which means that general cargo contributed only a meager 4 percent to the total volume. The good news is, however, that the segment of classical air freight grew cumulative by 27 percent from January until the end of August this year. 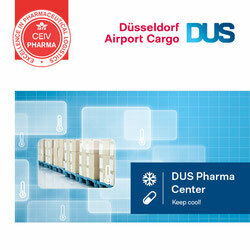 The development gives rise to hope that traditional cargo plays a more important role at the Rhine airport in future. 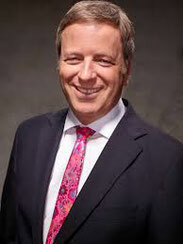 When asked to elaborate on the cargo figure further, CGN speaker Alexander Weise pointed out that a number of airlines have switched from smaller to larger aircraft, offering more space in their holds for accommodating freight shipments. Additional frequencies offered by Egyptair Cargo or MNG Airlines are another factor stimulating the freight business. Thirdly, Alexander mentioned new intercontinental services operated by LH subsidiary Eurowings, upping the lower deck capacity, thus attracting more loads. And the Eurowings (cargo) bonanza doesn’t seem to be over as the carrier announced plans to serve Cape Town and Windhoek as of November – from and to Cologne.